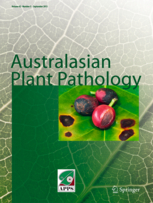 Crawford Fund support for a collaboration visit of scientists from Thailand to CSIRO in Canberra has resulted in a publication in the Australasian Plant Pathology journal. “I think it is proof of a genuine flourishing relationship which everyone involved is keen to continue and expand. Crawford Fund support is making a real difference, and further publications are in the pipeline,” said Mike Hodda, Research Scientist CSIRO. The paper, Ultrasonic extraction of plant-parasitic nematodes from plant roots, came as a result of a collaboration visit by Tom Chanmalee (Kasetsart University, Thailand) that the Fund sponsored last year. Extraction of nematodes from plant roots is a very time- and labour-intensive process. The paper reports a novel method using ultrasonic waves that is fast, simple, and much more efficient than other techniques. It requires less time and effort for root preparation, making it a lower cost method for routine use. Furthermore, it can be incorporated into a simple, cheap, mass-manufactured, portable and automated kit, which can be made widely available, so that the technique can be widely used. Publishing findings like this allows others to benefit from the knowledge gained and enhances the reputations of Australian institutions.